The Tuna is one of the oldest, most recognised and most popular of Spanish traditions and it faithfully represents the country's culture and history. 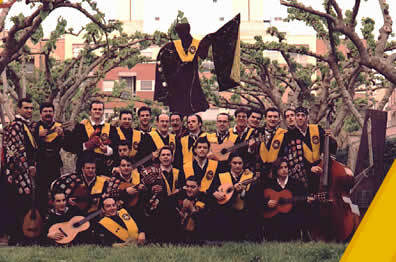 The Tuna of the Faculty of Medicine of Murcia University was founded in 1969, at the same time as the Faculty of Medicine was created. This Tuna has paraded its glorious banner around the world.